Governor Brown negotiated a $100 million settlement with Oracle for the disastrous Cover Oregon website that never worked. That’s a far cry from the $300 million Oregon spent on the failed project. It’s clear Governor Brown chose the expedient settlement for political benefit, leaving Oregonians $200 million in the hole. Oregon and software giant Oracle have ended their bitter legal fight. Gov. Kate Brown announced today the settlement of the six lawsuits the state and the company filed against one another after the failure of the Cover Oregon health exchange website. “Today’s settlement agreement ends years of turmoil and taxpayer expense related to a troubled health exchange program I dissolved in March 2015,” Brown said. At a press conference Thursday morning, Brown said the risks of going to trial were too great. Legal fees alone would have topped $1.5 million a month, she said. Oracle’s $100 million consists largely of technology. Only $25 million will come in the form of cash. And all of that will go to pay the state’s legal fees and other costs. Oracle also agreed to contribute $10 million to a state technology education program. The state fired Oracle in the spring of 2014 and killed the Cover Oregon project. Instead, Oregon adopted the federal healthcare exchange. Attorney General Ellen Rosenblum, at the request of then-Gov. John Kitzhaber, filed a lawsuit against Oracle. It was an aggressive complaint, accusing Oracle and several executives of fraud, filing false claims and racketeering. It sought more than $6 billion in damages. The complaint led to discord within the top ranks of Oregon government. Brown, who replaced Kitzhaber in the wake of the Cylvia Hayes influence-peddling scandal, viewed the Oracle beef as a political liability and pressed for a settlement. Brian Shipley, Brown’s former chief of staff, spent hours with Oracle executives in 2015 seeking common ground. Oracle claimed they’d reached a deal with Shipley and Brown to settle for $25 million worth of software. The governor’s office steadfastly denied it. The company filed one of its many countersuits against the state claiming it had improperly reneged on the deal. But Brown clearly wanted the Oracle mess to go away. Rosenblum resisted the pressure to settle. Oracle executives said Rosenblum refused Brown’s direct order to settle, which they claimed was unconstitutional. The legal effort proved extraordinarily expensive. By August, the Department of Justice confirmed it had paid $16 million to Markowitz Herbold and the three other firms hired to handle different aspects of the case. By Thursday’s settlement, state officials pegged the total legal costs at $25 million. Oregon’s hands weren’t clean in the Cover Oregon mess. The state’s oversight of the project was marred by mixed signals, feuding state bureaucracies and questionable technical competence. The state never hired a so-called systems integrator to act as a general contractor with ultimate authority. Instead, it hired Oracle to a time-and-materials contract, which allowed the software giant to run up massive bills. “Despite the state’s obvious culpability, Attorney General Rosenblum put tens of millions of taxpayer dollars on the line for a legal strategy that was motivated by politics and never stood a realistic chance of recovering everything that was lost,” said Mike McLane, House Republican Leader. The Republicans were muted compared to Oracle, which repeatedly blasted state officials for their decision to sue the company. Executives accused Brown of lying and Rosenblum of defrauding her own state. On Thursday, Oracle took a more diplomatic tone. “We are pleased to have this contentious litigation behind us and to provide Oregon with the flexibility to obtain the software and technical support it desires to address the State’s needs over the next several years, said Dorian Daley, Oracle general counsel. Rosenblum also praised Thursday’s deal. “This settlement outcome is a ‘win-win’ for the people of Oregon–without the expense and continued impact on our collective psyche,” she said. The state’s main case against Oracle was scheduled to go to trial in January. Oregon had won a series of favorable rulings in court, defeating Oracle’s attempt to move the case to federal court and winning on its motion to seek punitive damages on top of the treble damages it could have collected if it had won on the racketeering charges. But Brown wasn’t willing to roll the dice on a trial. One of the lasting ironies of the settlement is that it could increase Oregon’s reliance on the software company that was the chief author of the Cover Oregon disaster. 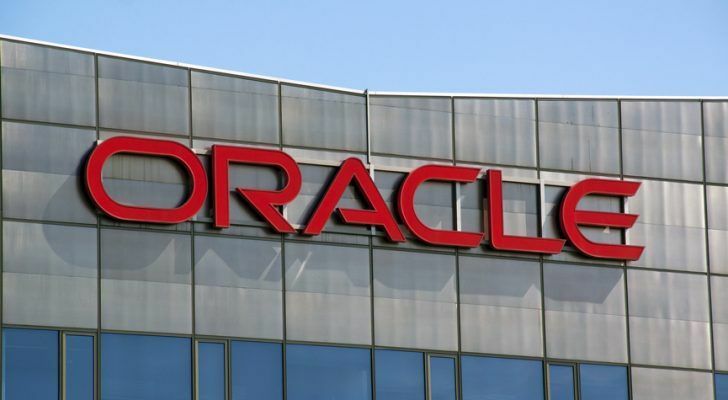 State officials said the settlement and the software licensing deal could allow a thorough overhaul of many of the state’s information technology systems with Oracle products and expertise. When asked about the wisdom of exposing other state agencies and projects to Oracle, state officials said it would be difficult to launch an upgrade without Oracle given its dominance in the information technology business.